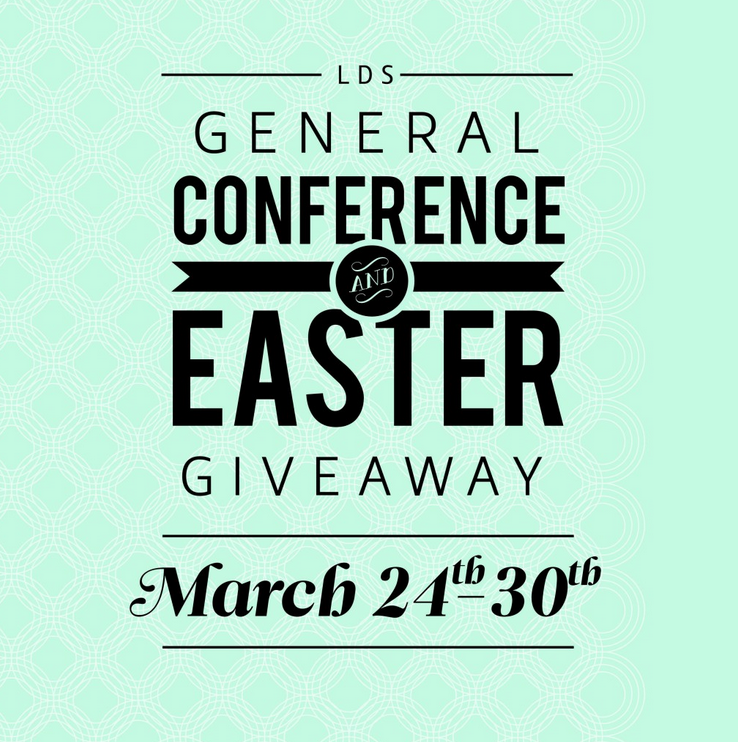 Our Huge General Conference/Easter Giveaway! Get Entered! Because it is almost Easter and I know a lot of you participate in General Conference, I thought it would be a good idea to do a Easter/General Conference themed giveaway! I’ve teamed up with a bunch of bloggers to give away over $350 worth of gift cards and products to help you this General Conference or Easter. Plus, we hope this will give everyone some great ideas when it comes to entertaining your little ones during General Conference or filling those Easter baskets. �There are a lot of fun and frugal ideas at the bottom of this post that you can check out that we all contributed to. $75 Thrive Favorites Package from Krisi Lee, Thrive Life Independent Consultant. $40 credit to Daylight Digital Designs. Gift Basket ($30 value) from Sego Lily Soaps because Mom needs something in the Easter basket, too! Faith in God Study Guide ($8.50 value) from A Lively Hope. A Clicker Kit and special gift from Hilary Weeks. Follow the directions on the Rafflecopter entry form below. (If you can’t see it, try a different browser. If you rare reading this in your daily email or RSS feed, you will need to go directly to the post on Freebies2Deals.com to see the Rafflecopter entry form. 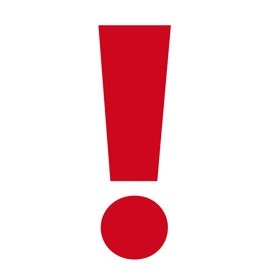 )�The giveaway runs until March 30, 2014 at midnight. Winners will be announced the next day on Freebies2Deals.com and the other participating blogs. 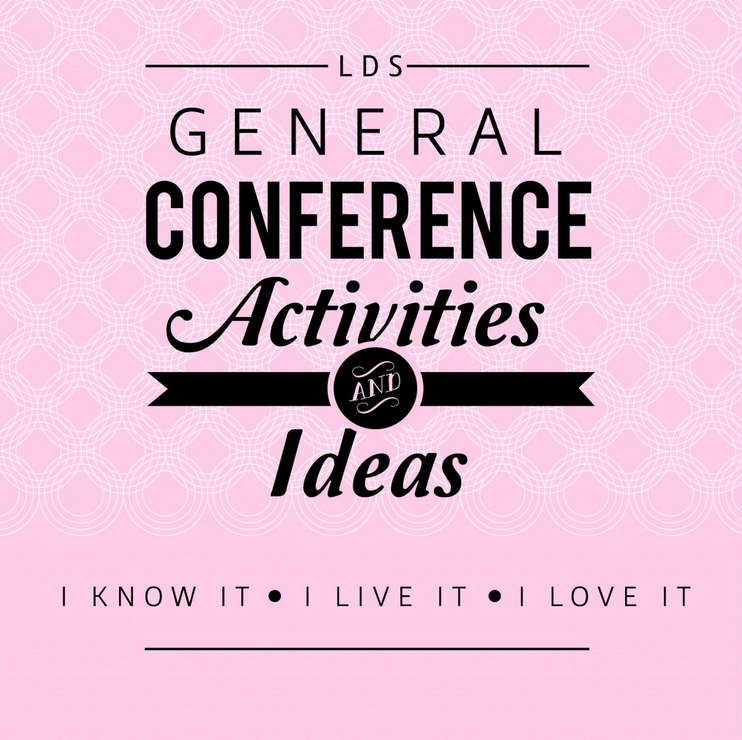 Be sure to check out our HUGE collection of General Conference Activities and Ideas, too! We’ve got you covered with recipes for conference breakfast and reverent ways to involve your children in General Conference! We have a crab bake with an Easter hunt and invite our closest friends. oreos! We love them but don’t buy them often so it is a real treat. Art supplies and sugary goodness! We always have those cheesy bunny chocolates. Lots of other yummy chocolate and fun spring toys. Chalk bubbles jump rope etc. this is great! Aside from the perk of the possibility of being the lucky winner, I found some awesome stuff I didn’t even know was out there, thanks!! Easter basket: mostly just candy, but specifically Easter candy: Peeps and Robin Eggs all the way, baby! We will usually leave an activity for them to do and candy. Cars, color wonder markers, and coloring books. A new book for each child, Lindt chocolate bugs, and a small toy. All things legos and some new swimsuits! Swim suits, flip flops and sun glasses. I’m still at a loss as to what is going in our baskets! We will do Easter Candy, and books, but my kids are getting too old for the toys we have always done! How do you fit a basketball hoop in an Easter basket 🙂 ! Jelly beans, bubbles, and of course…chocolate!! My son loves Disney Cars, so there will be a couple of those in his Easter Basket! Following in the footsteps of my practical (and financially strapped) parents, we don’t do Easter baskets–just fun, filled eggs for the hunt. I always put books and of course a little candy. Books, candy, water toys, spring outfit, Legos! The girls always get a new Easter Dress and a spring outfit, sandals and treats. My boy gets a new church shirt, sandals and treats for him too! We put a ton of arts and crafts in our basket instead of candy. we put the candy in the plastic eggs for the hunt. Those big Reese’s eggs and random stuff from the dollar store. And maybe a board book for each boy (3 and 6 months). I removed any link to my blog as the supiucsois type’s on here seem to think its some kind of marketing strategy. No, its not a strategy. I don’t want any more publicity. I’m done with that blog. It’s done. Over. No more posts.Please, feel free to take snaps of the window display to be used as a worst . Keep in mind, my comments dont reflect the owners opinion, I have no vested interest apart from a weekly salary (no commission).Orbea, you haven’t visited the gallery?TLA has, recently, he thinks it’s great. I will try hard to come up with a worst, but it will be hard with all the great stuff we have here.But, I agree : COCO/DC PLEASE remove any mention of the gallery in the other thread that Natalia Fan linked to, again xxxx’s are fine.Fortunately, I have not used my wordpress account to log in here.So, in the interests of public safety, this will be NVL’s last post, as NVL. My daughter will be getting sun glasses, books, an outfit and a few toys. We don’t do Easter baskets at our house. Some new clothes, we are trying to limit the sweets at our house. Maybe a few squeeze pouches and puffs since my daughter is just starting solids. We go simple– things to use outside– sidewalk chalk, bubbles, ball, etc. Summer goodies! Kite, chalk, hat, etc. This year we are having eggs with numbers… The number reveals the prize. That way you can get a hula hoop or other large item that will not fit in a basket. Money is also an ins entice for those older who do not like to participate…. My mom always has the tradition to put a of Christ in our Easter baskets so I would like to keep that tradition going! Candy! and an Easter outfit! We do little snacks like goldfish and fruit snacks. Walkie talkies for the boys Reese’s eggs for mom! A book and a few outdoor toys! Our children’s Easter baskets will be filed with books coloring supplies, Jammie’s, a chocolate egg etc. Quiet books for church, new church clothes, candy, bubbles! Candy! I always try to talk my husband into little toys or books…he doesn’t want presents in the baskets! Great giveaway! I love spring and conference weekend and all of the stuff in this giveaway is great! Crochet bunny’s with candy and a toy each of them love. In there new Easter bags I made. Trying to do a symbol of the true meaning of Easter. Like a flashlight or compass or picture of Christ. I didn’t see that we were suppose to post what we will put in the Easter baskets this year, till after inhaler already posted. I give my husband robin eggs, and jelly beans, and peeps, and a peanut butter chocolate egg. candy coins, play doh I think? Not too sure yet. Our Easter baskets will have treats, some toys, and Mickey Mouse slippers I’m crocheting to tell our daughter we’re going to Disneyland!!! A new swanky tie and reeses eggs for my hubby, easter dress for my brand new baby girl and hopefully lots of chocolate for me! We always put a special book related to Easter or Christ in the baskets. Haven’t thought much about it yet, for sure candy and some outside little toys! We have a magnetic fishing pole game, bubbles, chocolate, LDS quiet book and an Easter Board Book. Bubbles, sidewalk chalk, and a few little treats. Butterfly nets! That’s the big thing, then few little gifts and a little candy! Candy, socks, bubbles, sidewalk chalk. Our Easter baskets will have books, sidewalk chalk and a small Calico Critter toy. Church clothes, chocolate kisses and jellybeans!! We like to do one big family easter basket instead of everyone getting their own loaded with candy and sugar, we’ll probably put a few fun snacks and small toys and try to keep it simple! This an awesome missionary tool! I love your website! Oh and bathing suits, sandals, and little toys. Candy, sidewalk chalk and bubbles. Thanks! Frozen (yes we are a little behind) 🙂 and Lagoon season passes. thank you, you very talented ladies for all the things you create and share. If I had children at home we would probably have the plastic eggs with items and a scripture depicting something important about this special Easter week/holiday. New dresses, little bit of candy, and a toy. Chocolate eggs and new church outfits. Easter baskets will include candy (of course) new learning dvds, flashcards, and some stamps. I am really like the eggs that will hatch an animal after put into water for a few days and the eggs I saw at Lowes that have a flower to grow in them. Thanks for this chance! Candy, small toys, books, new church outfits. My kids are getting scooters I purchased at Christmas time because of a Freebies2deals post and also a Green Machine Big Wheel I scored from the January Target Clearance Melea posted about! woo hoo! Candy, a bubble machine for my son, and a loom for my daughter. My toddler wants a basketball and bubbles so that’s what she’s going to get! I usually do a new swimsuit and flip flops for in my kids’ Easter basket. Thanks for the giveaway! We will do candy, an outfit, bubbles, sidewalk chalk, and maybe some other small dollar store stuff! I found some cute little suckers at a boutique I was in a few days ago. We’ll see what else I come up with before it is time to fill them. Thanks for an awesome giveaway!! Great giveaway!! Fingernail polish, hair things, and candy in the eggs, and jump ropes and a spring dress in the basket. Frozen, candy and a coloring book. Reese’s Peanut Butter Eggs, Disney Princes books and bath tub crayons for my daughter! Hoping to do kites or books, and avoid the candy. We don’t do Easter baskets but think about Christ and sweets are just added bonuses. Toothbrushes, a small amount of candy, and new slippers! We are doing a movie for each kid and a little bit of candy. They will each get an outfit too. File folder games for church. Candy, and most likely a stuffed animal. Easer Sunday Attire! Always. And a chocolate bunny for good taste… literally. “Sporty” Easter shorts and shirts. Puzzle pieces in each egg! Flip flops, Eggs full of candy, cotton shorts, and probably a book or dvd. Bubbles, books and their favorite candy. We always include the new Easter dresses and ties in the baskets. What an exciting giveaway! Candy and decorated Easter Eggs! I don’t do Easter baskets but I do celebrate Easter Sunday, it’s an important date for me 🙂 Thanks for the Giveaway!!! I wan to get a co-pilot tandem bike trailer so we can go on family bike rides even though my son is outgrowing the bike trailer. I just got one on amazing. SO worth the money!!! I love this time of year. The feeling of spring and everything is coming to life. A book, probably some candy, maybe a stuffed animal if I can find a good deal. No Easter baskets for us. We try to keep the focus on Christ, even though we’re busy preparing the Easter meal. A Sunday outfit and board books. Baskets consists of some chocolates, jelly beans and outdoor spring activities…bubbles, sidewalk chalk, jump ropes and a whole lotta love! flip flops and swim suits!!! We always have our new flip flops or crocs….getting ready for warmer weather! I always put some new clothes in my kids’ baskets. Easter baskets will always have chocolate and jelly beans and this year pinwheels. OKC Thunder shirts for my boys! Easter Books (centered around Christ)! We do chocolate bunnies and candies, eggs filled with coins, bubbles and sidewalk chalk. And something that focuses on my kids’ hobbies. I like to get just one chocolate bunny and then something that we might have been planning on getting anyway…art supplies, sunglasses, a newly released kids movie, etc. Mostly things I got on clearance last year 🙂 And the free Frozen DVD we just scored thanks to your post. Yay!!! We always get little bubblegum eggs! The grandkids will get quiet books for church with a picture for every letter of the alphabet. Chocolate bunnies, bracelet bands for the girls and cars for my son. We aren’t doing Easter baskets this year. We don’t do Easter baskets but in the Easter eggs we will have candy and money. We will also do Resurrection rolls to support the real reason we celebrate Easter. Glow Sticks! We use them at bath time. New coloring books!! Always a favorite! it sounds amazing! thanks for the giveaway! candy, books, little toys and craft supplies..